Countryside Landscape & Design is a Design-Build company. We have the expertise to design your landscape project and possess the Massachusetts construction licensing necessary to obtain permitting where needed for installation. This can significantly streamline the process from concept, onto staging, and final installation. Your surrounding landscape is an important part of the quality of your life, adding enjoyment and value to your home. It serves as an extension of your home, where a variety of activities take place. A yard can generally be divided into 3 areas: public (front facing yard), private (back yard), and service (side yard). 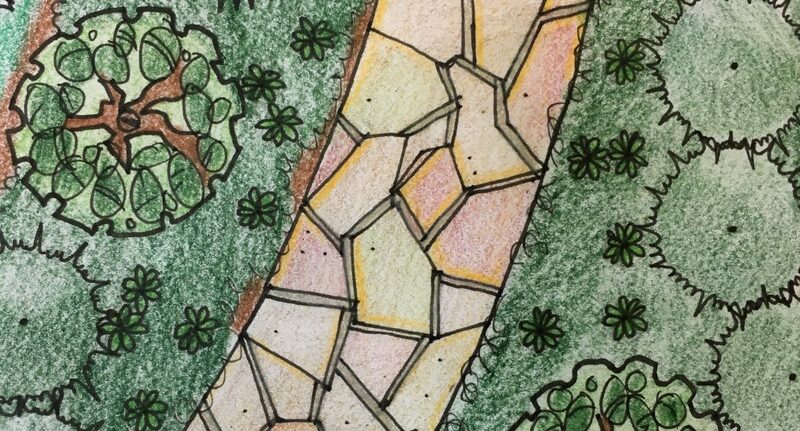 Successful landscape design creates outdoor rooms in outdoor spaces, often separating the spaces through plant beds, planters, arbors or masonry walls, even incorporating level changes for differentiation. How do you currently use the yard? How do you want to use the yard? Aesthetically, how do you want it to look? What is your preference for maintenance—hands on or hands off? The process should begin with a site visit, to inventory existing vegetation, assess soil quality, drainage and climate conditions. The next step is making a list of needs and desires for your green space, and how this space will be used. Understanding the site conditions compared to your desired use will aid in layout and plant selection. As a full service landscape company, Countryside Landscape and Design can assess the condition of your existing soil, examine the topography for potential drainage problems, and advise on plant material that would best serve aesthetics and thrive in our climate conditions. Proper plant selection is the most important secret ingredient in successful landscaping. They can bring colors/flavors to your outdoor space, and/or provide purpose, such as screening, shade or erosion control. Understanding the growth rate, mature size/form, along with light requirements, heat/wind tolerance and soil preference are key, and will dictate the layout. Don’t make the mistake of planting what starts out as a cute small tree close to your foundation, only to discover that it is massive at maturity, and will crack that foundation! Knowing the plant zone that you live in, along with any micro-climates due to slight elevations or being located close to bodies of water is very important. This is where native plants are an advantage. These plants are already adapted to your area, and will thrive. Knowing the best suited plant or tree for the desired location is important. Unity is generally achieved by consistency. A few well selected plants can have a more dramatic impact than too many competing plant selections.